A real disappointment. 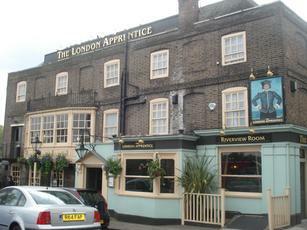 A pub with a great location close to Syon House and amid tranquil Thameside surrounds but touristy. Beers are just the ride side of OK with the local Twickenham brewery represented in typically unexciting style as well as Greene King’s festive offering Rocking Rudolph. Service was brusque and impatient while a steak and kidney pie as very poor – overcooked pastry with congealed filling. Good local pub at attracts plenty of passersby and tourists. Good selection of real ales plus the usual lagers ciders and soft drinks. Food good and plenty of it if a little bit pricy. On a sunny day the outside area can get very busy which overlooks the river. Good place for a passing drink but not for a serious session. Paid my first visit yesterday while out walking another stretch of the Capital Ring with my friend. Lovely atmosphere, friendly staff and an excellent range of ales. We both opted for Okell's from the Isle of Man and it duly proved to be a good choice as we had another! We both chose good, old-fashioned bangers and mash for our lunch and the Boroughbridge sausages were divine so I asked where I could get some. A very historic pub with such famous personages as Henry VIII with Catherine Howard, Lady Jane Grey and Charles Dickens all having crossed the threshold for a crisp one! Not to mention the smugglers who used the cellar and tunnels to stash their booty! 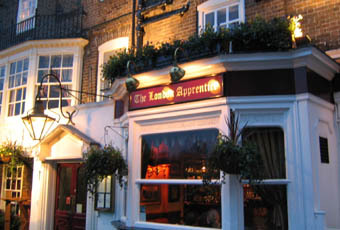 This is a top-drawer pub and will hopefully be visited again.